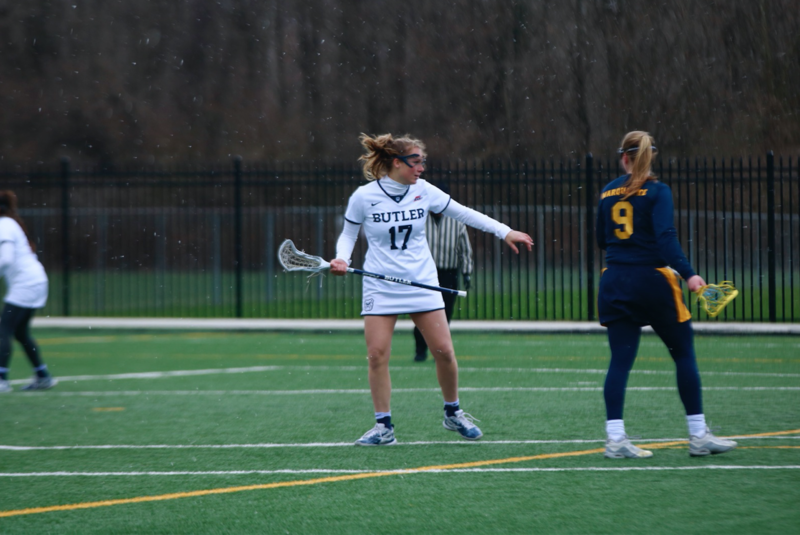 The Butler University women’s lacrosse team and Georgetown University scored a combined 33 goals in the nation’s capitol in what ultimately resulted in a 20-13 Butler loss. The Bulldogs trailed 11-3 at halftime, but outscored their Big East foe 10-9 in the second half. Butler enjoyed a wealth of goals from a variety of players. Freshman attacker Karina Latsko and sophomore midfielder Christina Soderquist each contributed hat tricks. Soderquist tallied her third hat trick of the season. Butler’s two goalies, freshman Amanda Rumsey and sophomore Haley Rayburn, combined to save 11 shots. The Bulldogs held a five-save advantage in the match. Butler will continue Big East play at Varsity Field on April 14. The Bulldogs will host Temple University at noon for the season’s second to last home match.